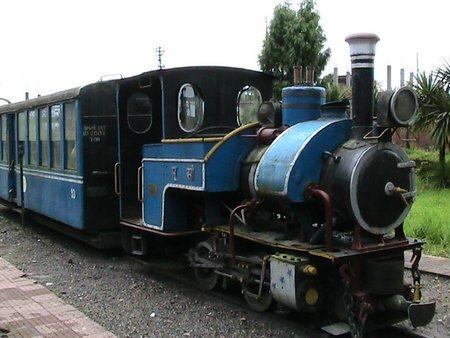 DHR Ghum Museum is one of the three museums of Darjeeling Himalayan Railways. It's located at the Ghum railway station premises. The museum room is right above the Ghum station. Ghum (also spelt as Ghoom) is country's highest rail station at an altitude of 7,400ft. The other two DHR museums are located at Kurseong and Sukna. In 1999, the famous narrow gauge Toy Train of the Darjeeling Himalayan Railway was accorded the UNESCO World Heritage status. 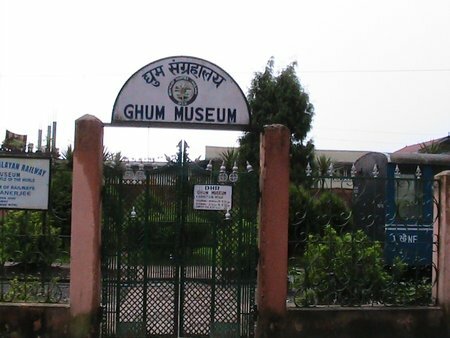 And in the year 2000, the Ghum Museum was established and opened to the visitors to showcase its heritage. Right opposite the Ghum platform, there is the entry gate to the museum premises. As you enter through the gate, there is an open space with a small garden around. 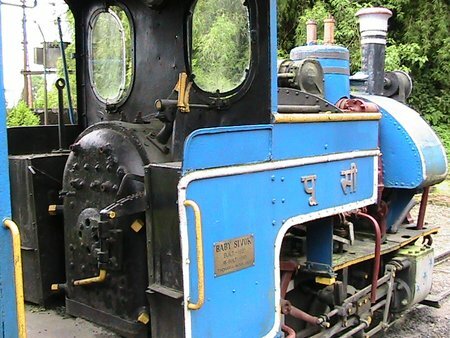 On the right is the much touted Baby Sivok, the oldest toy train engine of Darjeeling Himalayan Railways that started its operation in 1881 providing the first ever rail link through the mountains. You can actually see the inside of the engine from a close distance and also that of a coach attached to it. From the other end of the garden, there is an wooden stairway that leads to the museum building which is located above the Ghum station platform. This wooden building houses rare and old artifacts of the Darjeeling Himalayan Railways. You can also see several items that were donated by the ex DHR employees and many rare photographs of the Toy Train. 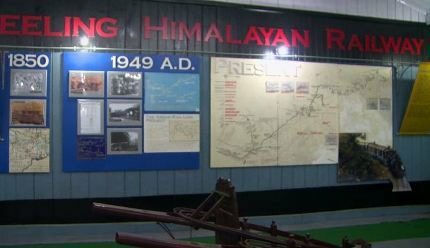 If you plan to take the Toy Train Joy Ride from Darjeeling which comes to Ghum and goes back, then this DHR Ghum Museum will be part of the ride. The train stops at the Ghum station for a while and passengers are given free entry to the museum. Update September 2011: There is a plan to revamp the DHR Ghum Museum. It has lacked maintenance for years. The DHR has received funds from Indian Railways to renovate and revamp the museum. There are plans to introduce audio-visuals to take the visitors through the history of the museum and Darjeeling Himalayan Railways. There will also be slide shows. Computerized Kiosks will be put up to share more information with the visitors. Update January 2017: The Ghum station and the museum have been renovated and restored to past glory. The station now looks quite colorful and the way it originally used to be. NOTE: This video was taken prior to the renovation and restoration work of the station & museum. The DHR Ghum Museum is open between 10am to 1:30pm and again from 2pm until 4pm. There is an entry fee (Rs. 20/- per person, subject to change). DHR Ghum Museum is located at the Ghum Station premises. The entry is through a gate opposite to the platform. Check out Ghum Area & Map to see the location.